Beach Walk: Unit 28 Lot 106; TOT# 1879. 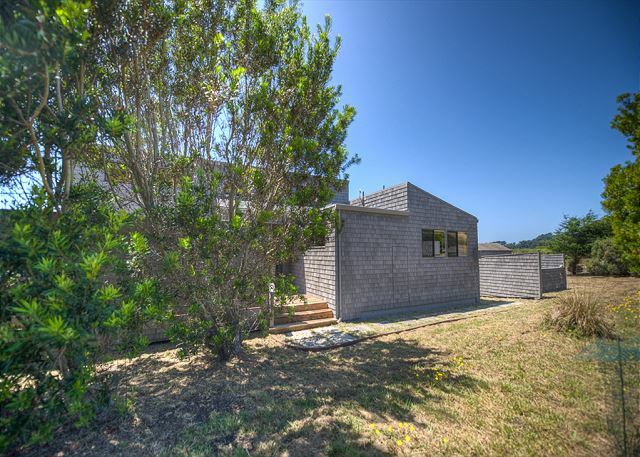 Beach Walk in Sea Ranch is the perfect retreat to relax, rejuvenate and re-connect with the important things in life. 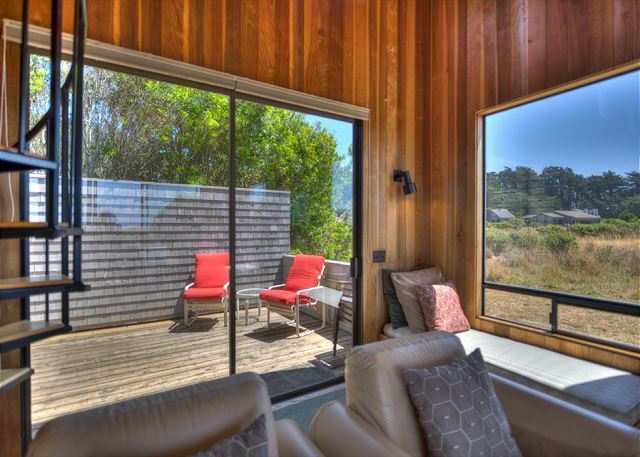 Beautiful, serene vistas from both decks, an inviting spa, updated, well-appointed kitchen are all ready for you. Listen to the sound of the ocean, star gaze at night, and walk on some of the most beautiful ocean bluff trails you will ever see. 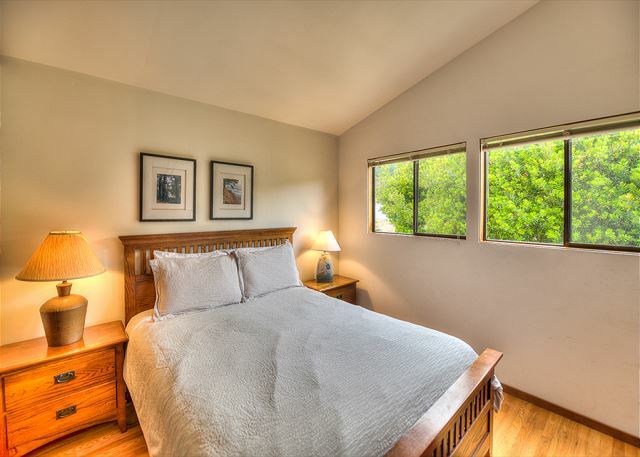 Our home can accommodate six people with two bedrooms and a loft all featuring queen beds. We are dog and kid friendly too! 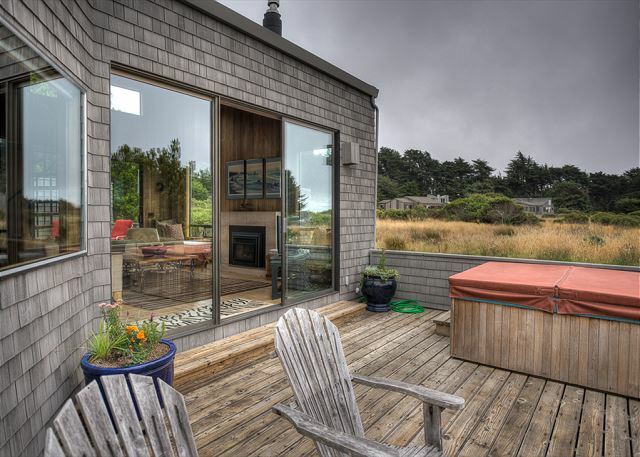 My wife and I have traveled all over the world, but Sea Ranch remains our favorite place to spend time just the two of us or with family and friends. If you have been here, then you already know. If not, come experience this very special place yourself. 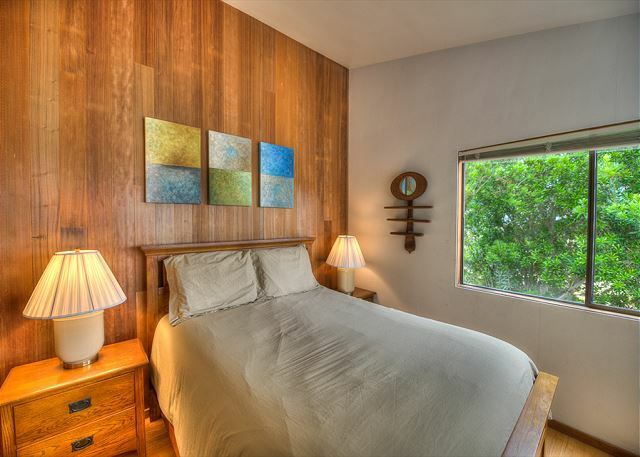 Beach Walk is a great house with all the amenities to make it a relaxing and easy break. 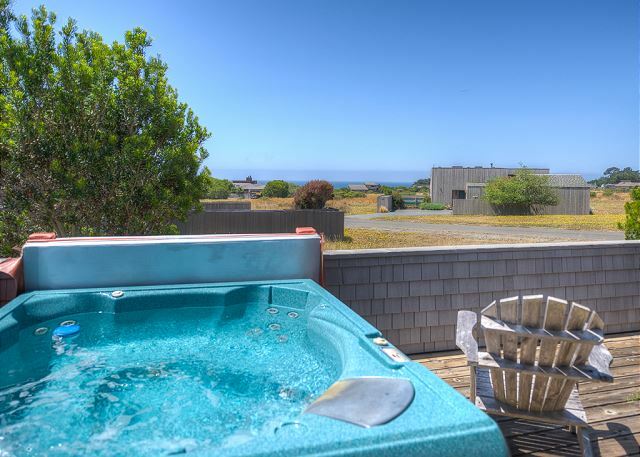 Short distance to the beach, full stocked kitchen, great views, hot tub, and books all add to the experience. Weekend stay with our dog and friends was great! 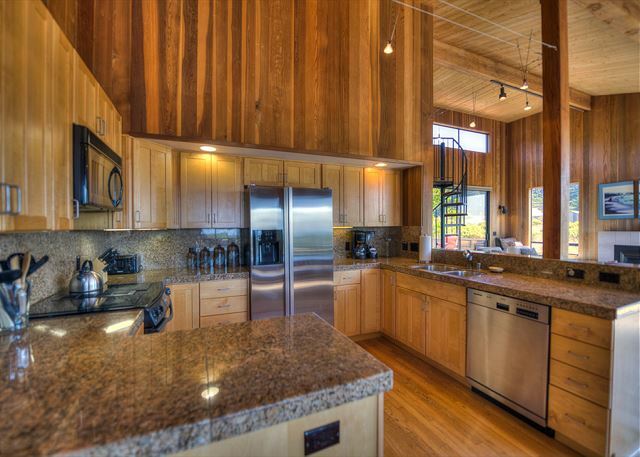 Kitchen is very well appointed with everything you need to make meals. 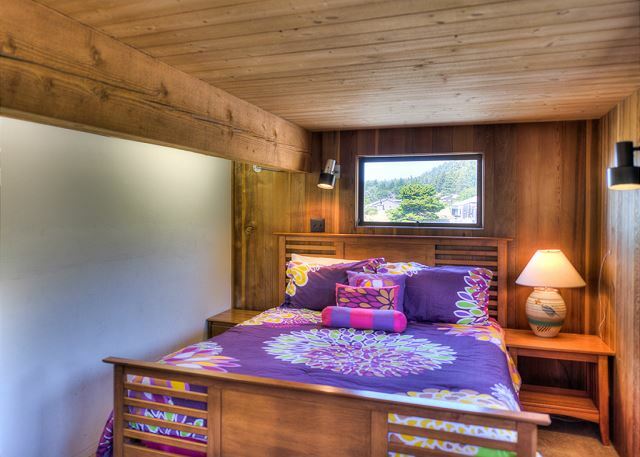 Beds are very comfortable and location is wonderful for easy access to the bluff and beaches. Check in staff was friendly and helpful. I would stay here again. Only thing I would Ike to see next time is a smallgas grill for BBQing. Each year we bring.our daughter husband and granddaughter to sea ranch. They have decided this is their favorite house!!!! Great location and nice house. We had a great time at Sea Ranch and loved Beach Walk. It was very comfortable and had a well equipped kitchen. The hot tub was great too with a view of the ocean. 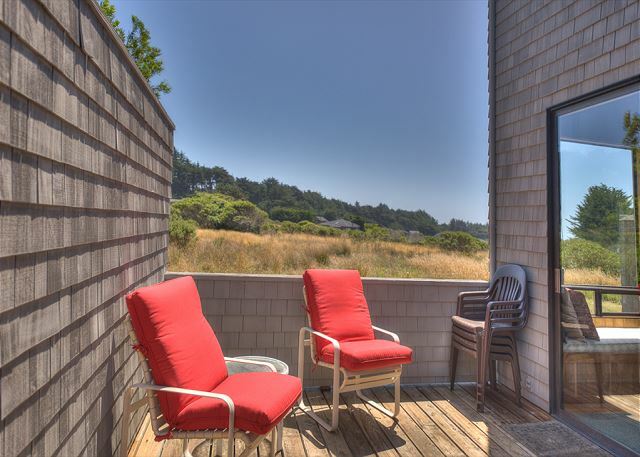 Even though we’ve rented several times in Sea Ranch, it’s always a bit nerve wracking to see if the place lives up to our expectations. Beach Walk certainly did not disappoint. The house was well appointed with everything we needed for a comfortable stay. The gas fireplace was well used since it was chilly and rainy much of the time we were there. We wished one of the beds were a queen, but we did sleep well after the first night. 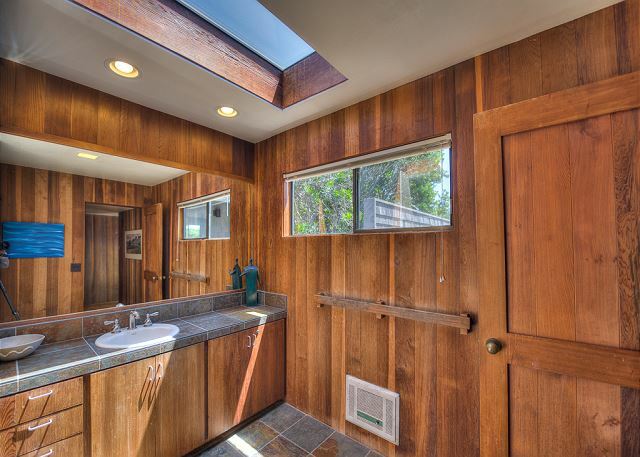 The two bathrooms are spacious and updated. The kitchen had everything we needed and more. The location, however, was the best part. The views were incredible and it was a short walk to two beaches. We would definitely stay in this home again. **side note - ticks are bad - even with the cold weather and precautions my husband and one of our dogs were bitten. Beach Walk is a beautiful place to escape the city. The house is very well equipped, especially if you like to cook. The location is wonderful, trails connect a few steps from the house. You can walk endlessly along the cliff trail, access beaches, spot whales or seals. 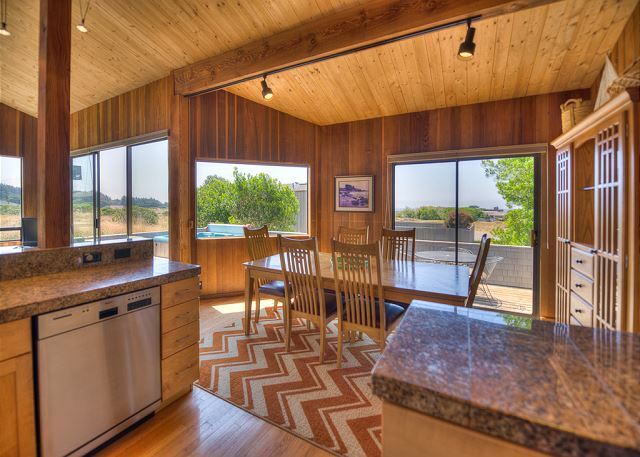 Del Mar pool is walkable from the house, and it's a short drive to the grocery store or the lodge. We will return - thank you for a wonderful stay! 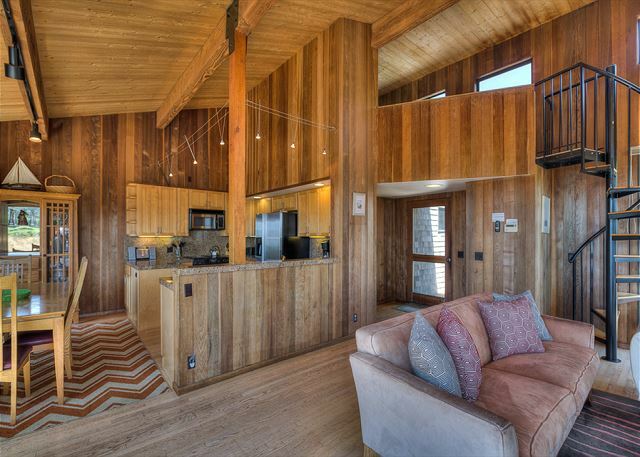 Three nights at the Beach Walk House at Sea Ranch. Wish we were still there. 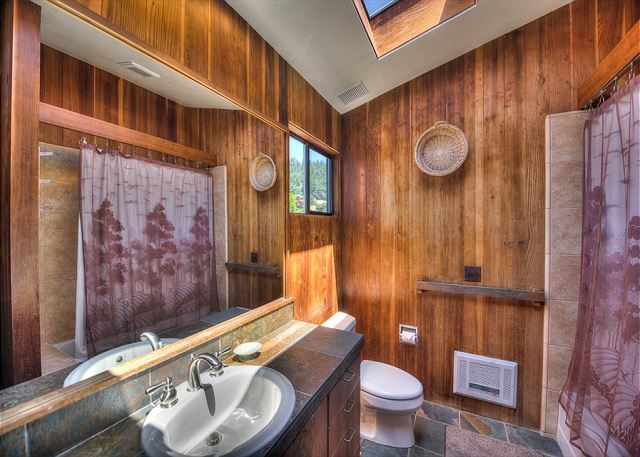 Lovely, private and homey stay in a modern, simple retreat. 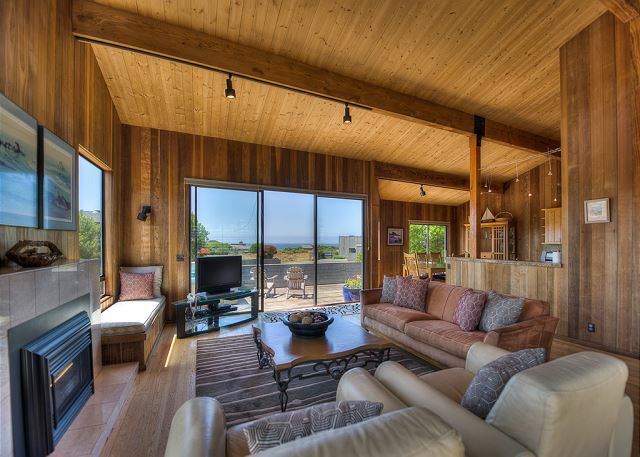 This is a great house that is relatively close to the beach. It looks a little "fancier" online than it is but is a very comfortable home with everything you need to make your stay relaxing and enjoyable. Important to note that although you have a nice view of the ocean it is sometimes obstructed by the cars that are parked one house over. That was our only complaint on the view. If you sit at the right angle in the house, you don't see these cars. Beds comfy, kitchen roomy, fireplace and hot tub all nice to have. My husband and I were celebrating our 25th anniversary. Beach Walk is near our favorite beach...Walk-on. We enjoyed the house, and that is experience talking, as we have stayed at 20+ houses over the years. Comfortable house, though I am wary of the spiral staircase leading up to the loft. That is the only downside to the house. Wished it had gas stove instead of electric...wished for a king size bed with a more comfortable mattress! Absolutely beautiful house in a great location. Nice hot tub and comfy beds. Everything was exactly as described. Actually there were more amenities in the kitchen than I expected. Comfy bed. Awesome helpful staff. Will stay again. We found the property just perfect for us. It was clean and well appointed. We felt right at home and had a wonderful stay. The wine, coffee and chocolate that was left for us was a lovely surprise and much appreciated. Overall, we can highly recommend this place and hope to return. The weather held up and we had nice walks along the beach. All in all, a very enjoyable stay. Did not want to go home . REALLY ENJOYED OUR STAY .The gas stove was very cozy in the cool mornings.